See my contribution here and let me know what yours would be? Gut zu besuchen Ihrem Weblog einmal weit mehr ist es nach Monaten für mich sein. Sch?n dieses Thema, dass ich für so lange schon gewartet. Ich m?chte in diesem Artikel auf meine Aufgabe in der Universit?t insgesamt, und es hat sehr gleichen Thema zusammen mit Ihrem Beitrag. Danke, tolle Aktie. Thank you for finding the time to explain the terminlogy towards the starters! hello, very good article, and a great understand! at least one for my bookmarks. Arrived at your website through Reddit. You already know I am signing up to your rss feed. I got what you specify, thanks for swing up. Woh I am willing to uncovering this website through google. 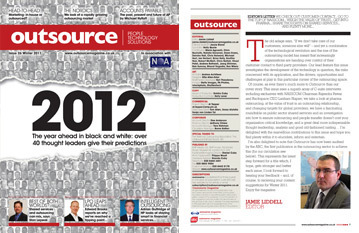 Thanks For Share 2012 in Outsourcing – My prediction for Outsource Magazine | Christian McMahon. Fantastic posting. Remember to keep up the superior work. It’s actually a cool and useful piece of information. I am happy that you simply shared this helpful information with us. Please stay us up to date like this. Thank you for sharing. An extremely fascinating read, I may not concur completely, but you do make some extremely valid points. I’m impressed, I have to say. Actually not often do I encounter a weblog that’s both educative and entertaining, and let me let you know, you have hit the nail on the head. Your concept is excellent; the issue is one thing that not enough people are speaking intelligently about. I’m very pleased that I stumbled across this in my seek for something regarding this. Very good info. Lucky me I came across your website by chance (stumbleupon). I have bookmarked it for later! Such a wonderful analysis! No idea how you were able to say this post..it’d take me long hours. Well worth it though, I’d suspect. Have you considered selling advertising space on your website? I抦 amazed, I must say. Seldom do I encounter a blog that抯 both equally educative and engaging, and without a doubt, you’ve hit the nail on the head. The issue is something which too few people are speaking intelligently about. I am very happy I came across this during my search for something regarding this.